Within days of General Motors announcing a reduced price and new lease deal for the Chevrolet Spark EV we've already received evidence of sales rising. One dealership in California reports that, in a single day, it sold a record 5 Spark EVs, plus one Chevrolet Volt. 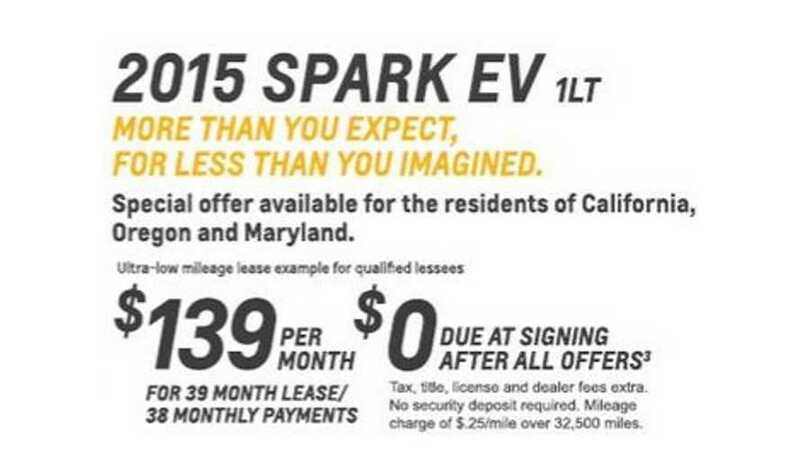 The dealership notes that the upswing in Spark EV sales are due largely to the killer lease deal now being offered: $139 per month with $0 down, plus qualification for California's $2,500 rebate. 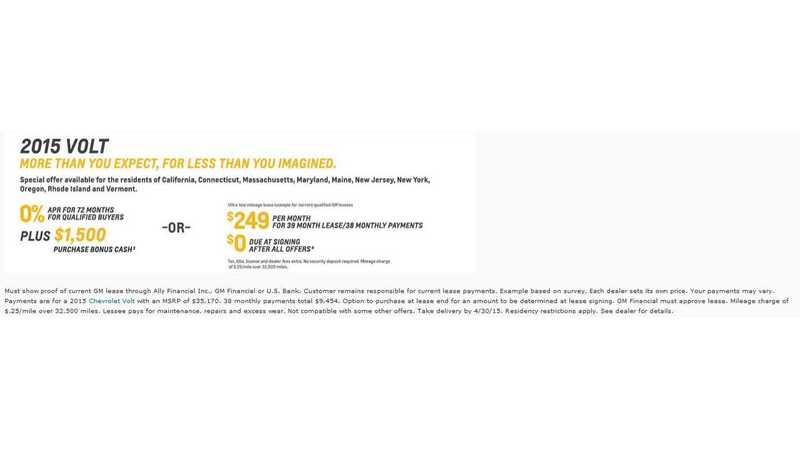 The Volt too has a new, improved lease deal (see below). The dealership, Sullivan Chevrolet in Roseville, California, states that those 6 plug-in car sales represented exactly half of all the vehicles it sold that day. So, 50% of that day's sales plugged in! 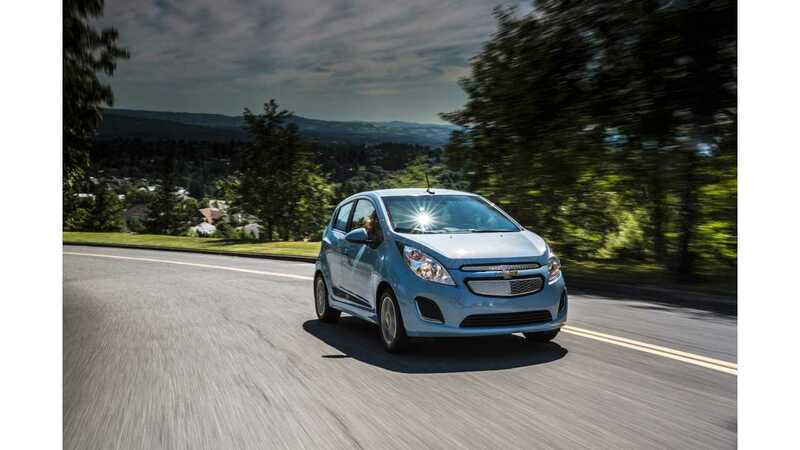 Last month General Motors announced the continuation of the Chevrolet Spark EV for another model year, today they announced that it will also be getting $1,650 cheaper. The new pricing moves the base LT model from $27,645 to $25,995. “Chevrolet is committed to making EV driving more accessible, affordable and fun. The Spark EV is already the most efficient – and one of the most affordable – EVs you can buy. 2015 Spark EV customers will benefit from an impressive blend of technology, capability and low cost of ownership, now at an even more impressive price.” – Steve Majoros, director of Chevrolet Car and Crossover Marketing. The 82 mile, all-electric Chevrolet Spark EV will also shortly be available in three US states – California, Oregon, and starting mid-year – Maryland. 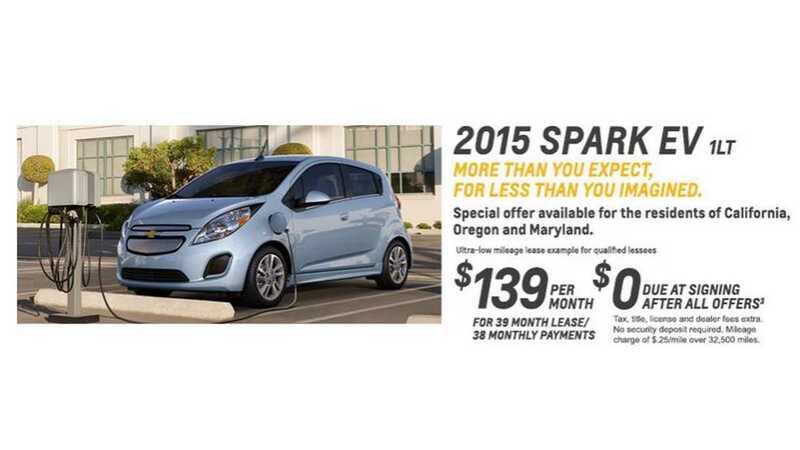 Additionally, by utilizing the applicable federal and state incentives (along with some cash on the table by GM), Chevrolet is offering the Spark EV from $139 per month (39 months) with nothing down on a low mileage lease through at least the end of the month.